Its mountain forests like lifeless piles of "raw material" to be stripped and shipped off elsewhere to feed the consumer society. 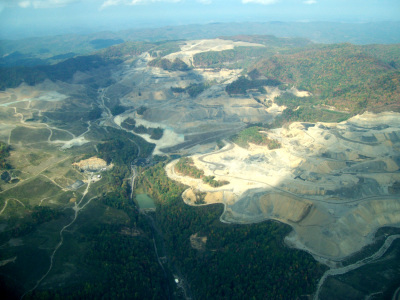 Its empty coal mines like forgotten and meaningless pits to be filled with endless garbage from the consumer society. Its unemployed people available as cheap labor to guard the countless imprisoned people, themselves cast off by the consumer society. To read more about AFEC's recent work, click on the news articles below. Or visit AFEC's website for more information.